As most of you may remember I recently read and review Sanyare by Megan Haskell and was so impressed with it, see my review HERE for those of you that might have missed it. 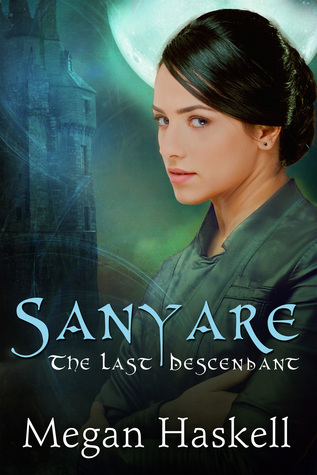 I couldn't resist this opportunity to tell you that for today only, her book Sanyare, will be on sale for the low price of only $.99 which is a huge steal so don't miss your chance to grab this while you can!! Also, with Something Wicked right around the corner once again this October, she will also be doing a guest post all about the fun pixies and a fabulous giveaway so don't miss that either! You guys are going to love this fun series. It has so many wonderful elements that I love in fantasy and a whole unique spin on those paranormal creatures we all know about and love. When friends become enemies and enemies become friends, who’s left to trust? Trained as an elite fighter and educated in the ways of the elves, Nuriel “Rie” Lhethannien has worked decades to be accepted into the High Court messenger service. It’s a simple enough occupation, but in a realm where humans are treated as little better than slaves, it’s a position she’ll do anything to protect. On a routine delivery in the Human Realm, Rie is attacked by assassins from the enemy Shadow Realm and framed as a traitor. Facing execution at the hand of an unmerciful king, she evades capture and crosses the portal into enemy lands to prove her innocence. Surprising allies arise from the shadows, assisting her search and uncovering secrets she didn’t know she kept. With the risk of discovery lurking at every turn, Rie must use every weapon in her arsenal — and some she didn’t know she possessed — to uncover the truth behind the attack. Along the way, she discovers she might not be as human as she was led to believe, and her heritage could be more dangerous than she ever imagined. Thanks for sharing about the sale!! Yep just not as long this year but it will still be a lot of fun! It really was a fun read! Read your review, loved it and am taking advantage of this great deal. Yay, thanks Ali!! Yay happy to hear that Debbie! I saw so many tweets about this yesterday. Haha! Yay glad to hear that Kim, I hope you love it! And another yay for Something Wicked, I'm excited for it again!! Hehe, supportive husbands are key in this line of work :) The story sounds pretty amazing, but I'm not so sure about that cover... Great post! I have to check this out. Thanks for the heads up. I am so glad you loved this, I am very intrigued. And who doesn't love a good book deal?! Thanks for sharing! I love to hear about good e-book deals. I hope you'll consider it Melliane! Thanks for the heads up, I'll have to grab it! Thank you for posting this yesterday! 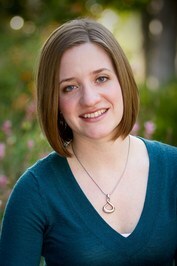 I'm looking forward to the pixie post next month, and I'll be stopping by to answer any questions! I'm excited for it and yay that you will be answering questions, that is awesome! Thanks for sharing this...I am so curious especially since humans are slaves. I think you would really like this one Kim! Cover Reveal: Dead Girl Running By Ann M. Noser!